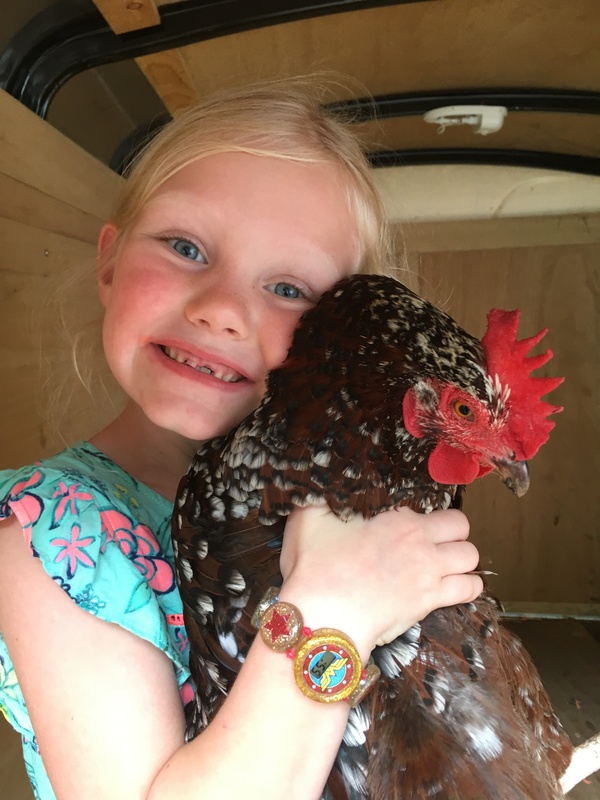 This entry was posted in Oh The Things Kids Say..., Poultry and tagged chickens, kids, packing. My children were deprived. They never had live chickens to pack. Mine seem to think that every book in the known universe needs to come along, even if it is only for the weekend. 🙂 Thought you might be able to relate. Misread this tagline when it appeared in mu email. 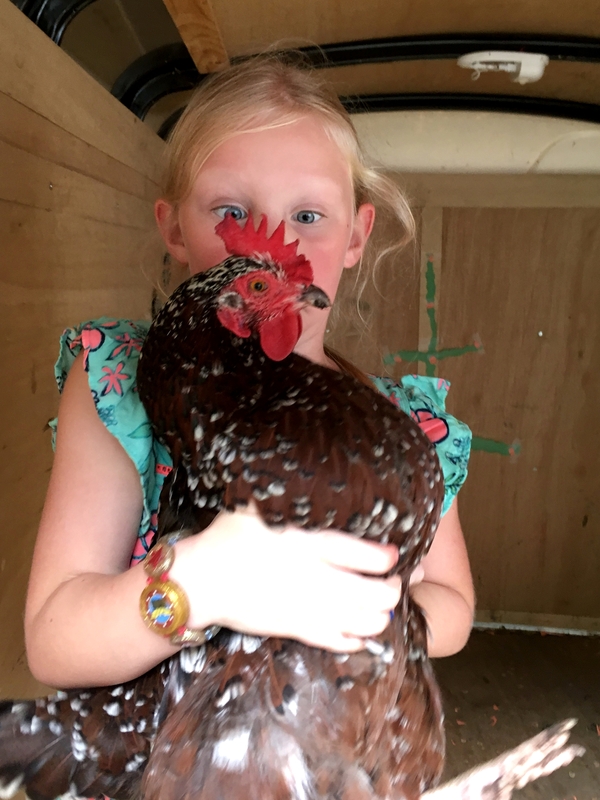 Thought it said, “I’m going to pluck this chicken.” The photo was a giveaway. 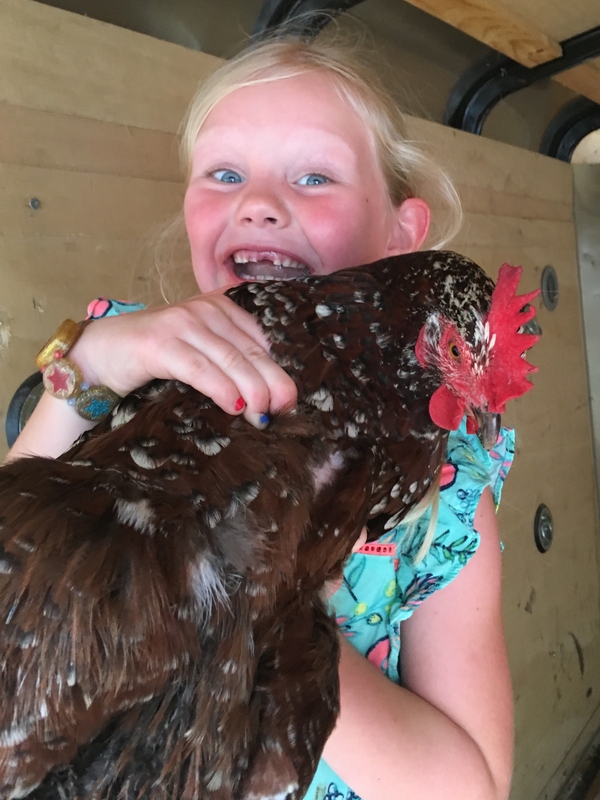 Our kids plucked lots of chickens, but not with a smile. Ha! That is oh so true! You never know, she might like the adventure of it all but I’m glad we left her home anyway.